Bibliographic reference: Löfgren, Oscar (ed.). 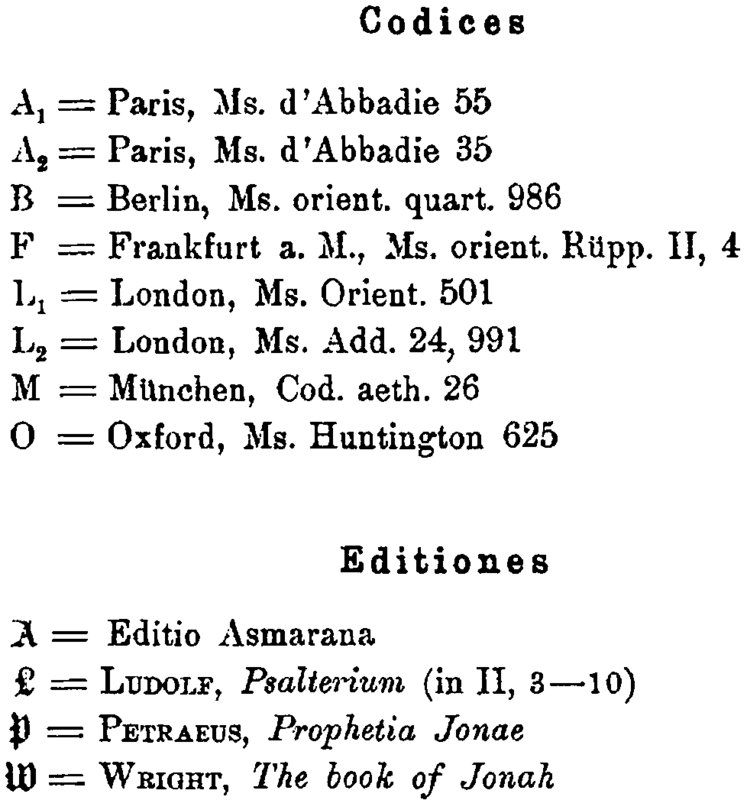 Jona, Nahum, Habakuk, Zephanja, Haggai, Sacharja und Maleachi äthiopisch, unter Zugrundelegung des Oxforder Ms. Huntington 625, nach mehreren Handschriften. Uppsala, 1930, pp. 3-9. This is an internet image version of the Ethiopic Book of Jonah. It follows Oscar Löfgren's (1898-1992) critical edition published in Uppsala in 1930. The TEXT version was prepared by Kefela Ghebre and is published here with his kind permission; proofread by Ran HaCohen.